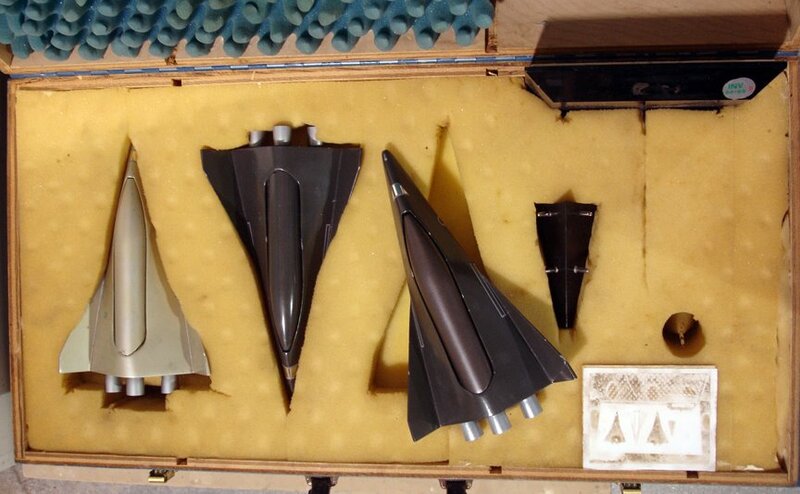 This gorgeous NASA model of three Identical Reusable Space Planes is being auctioned in the Bonham’s New York Space History Auction on Thursday, April 26th. Designated lot 1303, I bought it near Huntsville, AL (where it was created at NASA’s Marshall Spaceflight Center) last year on the World’s Longest Yard Sale. I won’t tell you what I paid for it, but I was shocked to get it for so little – the dealer I bought it from had this model, a few other household items, and a whole bunch of replacement lawnmower blades. The following day, I took it to the Antiques Roadshow when they stopped here in Atlanta, and it was appraised for $1,000.00, but the appraiser told me to check with Matthew Haley at Bonhams as he is the real expert and conducts a yearly space history auction. Matthew’s appraisal was $2,000.00 – $4,000.00. Matthew convinced me to consign the model, and after a little bit of restoration to one plane’s engine bells and some paint touch ups by Lucas Francis Studios, it was on it’s way to New York where it will be sold on the 26th. 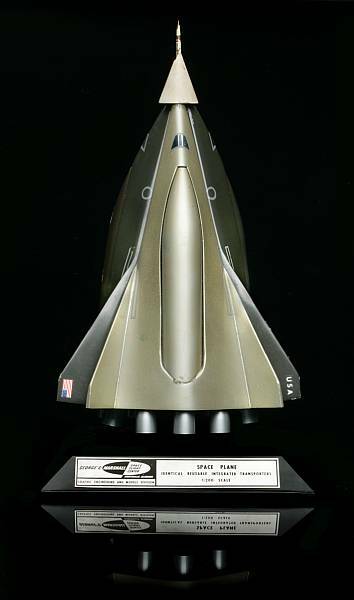 Though I’m very fond of the model, I hope it will find a home with someone who will truly appreciate its uniqueness – as far as I can tell, its a one-of-a-kind prototype that was created when NASA began their reusable space plane program in the early 1970’s. If you’re interested, I encourage you to bid – if not, please share this post with anyone you think might want a piece of space program history!